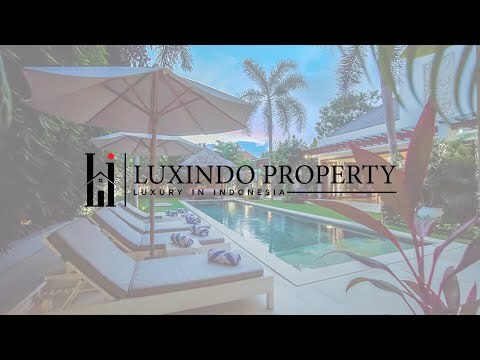 A beautiful contemporary 3 bedroom villa is available for a long leasehold sale in the heart of Petitenget/Seminyak, within a rare and extremely demanded area close to Potato Head, W-Hotel, Sarong Restaurant and others fancy restaurants and boutiques. The Petitenget Temple and the white sand beaches are within short walking distance as well. The villa is clean with a sleek design, excellent quality building and has a fantastic layout with a great balance of indoor and outdoor space. Total of 3 en-suite bedrooms with walk-in closets and well-designed bathrooms in each room. The spacious enclosed living and dining area gives view to the large pool and garden, it is also complemented by a fully equipped modern island style kitchen. With plenty of storage and staffs quarter, the villa is extremely suitable for a private living as well as an excellent holiday rental villa. A stunning property not to be missed!